new stations in the Greater London area, a new mobile refueling station for the south of England and upgrades to existing stations in Sheffield, Swindon, Wales and London. "Today's announcement from the Department for Business, Innovation & Skills provides a further boost to Britain's hydrogen refueling infrastructure. The additional stations and package of upgrades will make Fuel Cell vehicles a viable option for more fleet and private customers," said Tony Whitehorn, President & CEO, Hyundai Motor UK. 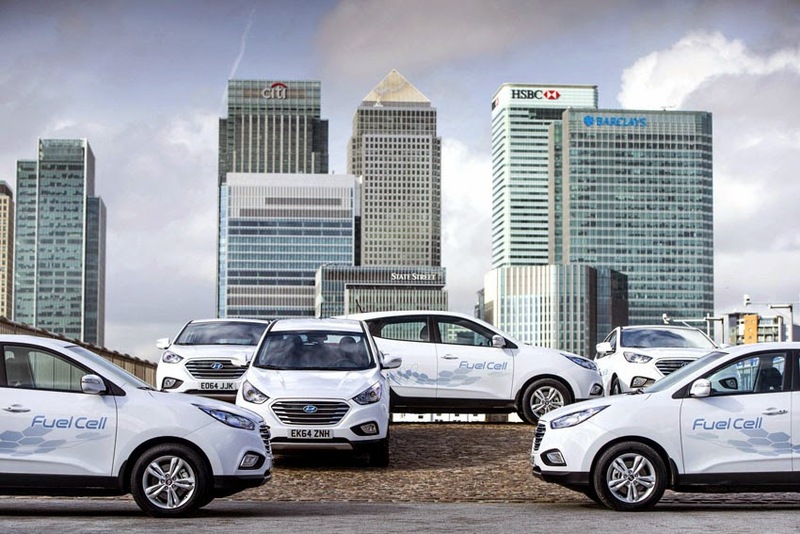 "As the first global carmaker to begin UK delivers of Fuel Cell passenger cars in 2014, Hyundai welcomes this investment which will support the rollout of hydrogen technology to additional customers."